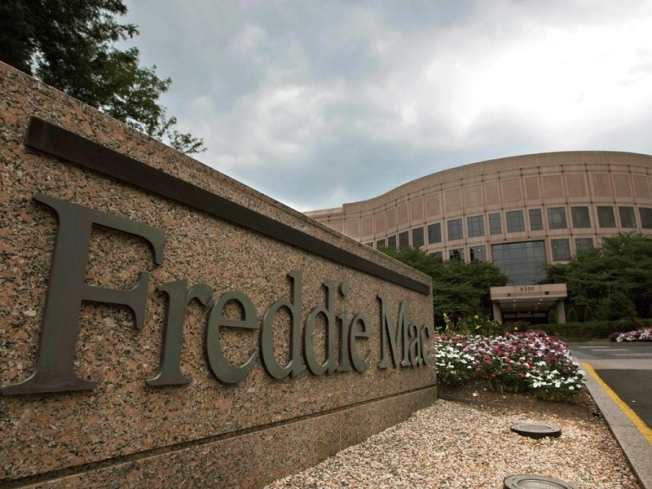 Freddie Mac Corporate Office in McLean, Va.
Freddie Mac, the second-largest provider of residential mortgage funds, on Wednesday said it lost $8.0 billion in the first quarter and warned that it would continue to need government funds because the housing market remains fragile. The loss was $6.7 billion before a $1.3 billion dividend payment on senior preferred stock owned by the U.S. Treasury. Freddie Mac has been struggling to contain losses sustained from its massive exposure to the U.S. housing market that has seen its worst downturn since the 1930s. Fearing that losses would harm Freddie Mac's ability to support housing, the government placed the company into conservatorship in September 2008 and late last year pledged unlimited financial backing. Chief Executive Charles Haldeman said the company is focused on strengthening its underwriting standards and improving credit quality. "Though more needs to be done, we are seeing some signs of stabilization in the housing market, including house prices and sales in some key geographic areas,'' Haldeman said in a prepared statement. "But as we have noted for many months now, housing in America remains fragile with historically high delinquency and foreclosure levels, and high unemployment among the key risks,'' he said.